For the first time ever I chose super cool fish garden art to place out front by the fountain this season. 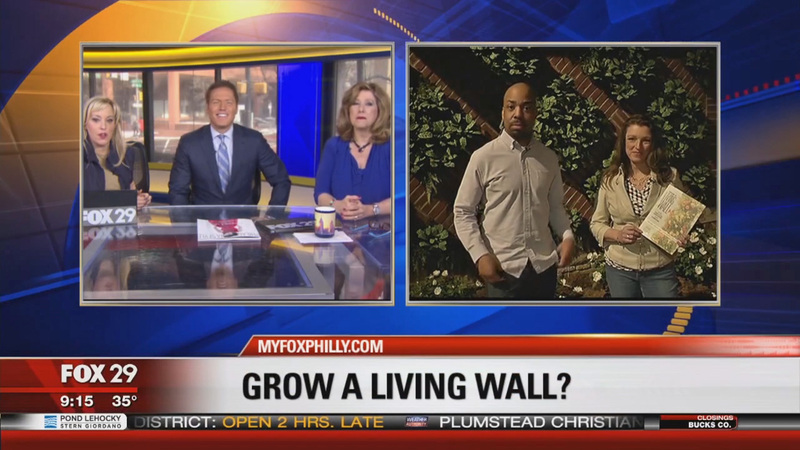 Tyson Weiss from Fish in the Garden had sent out some of his amazing fish art to me which became a part of my spring front garden patio makeover (see below). 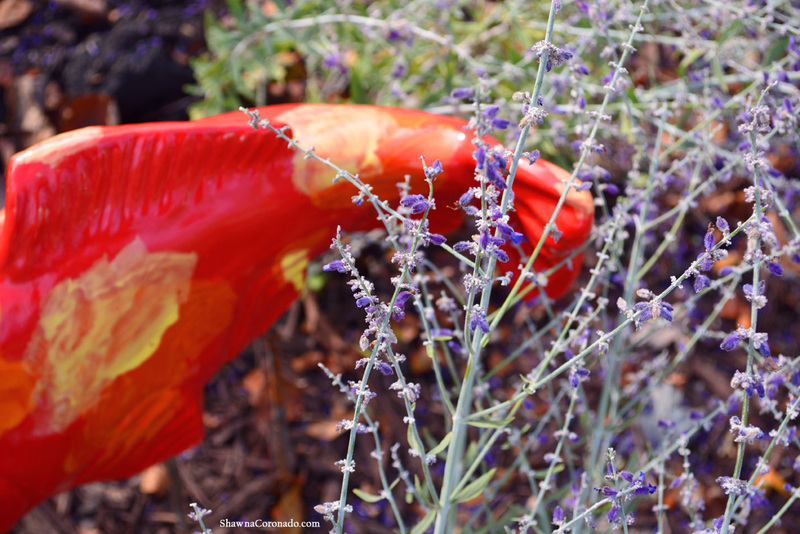 His garden art was such a hit that I received over 500 notes from readers who wanted to learn more about the fishy creations. 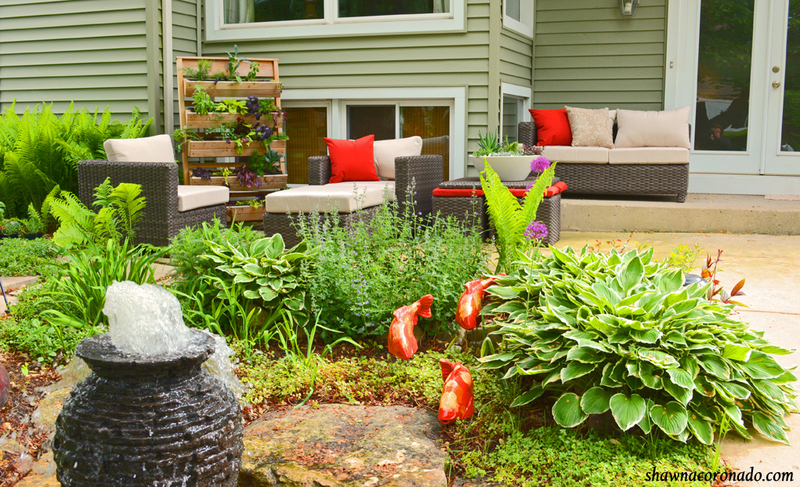 After living with his fish all season, I have fallen madly and passionately in love with the idea of having creative garden art in my garden. 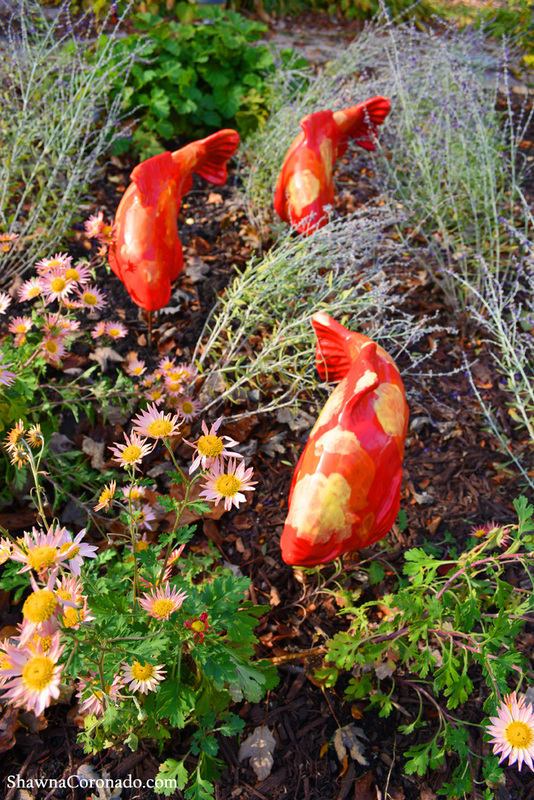 Due to their size, the fish garden art is easily shipped, which makes them a creative holiday gift for the favorite gardener in your life. Tyson sent out more fish garden art for my beds – Crystalline Trout this time – to use through the fall and on into spring next season (see top and bottom photos). They look fabulous mixed in with the red leaves from my neighbors maple tree which spill all over my garden this time of year. In the spring they will have a special spot in my newly remodeled back garden. 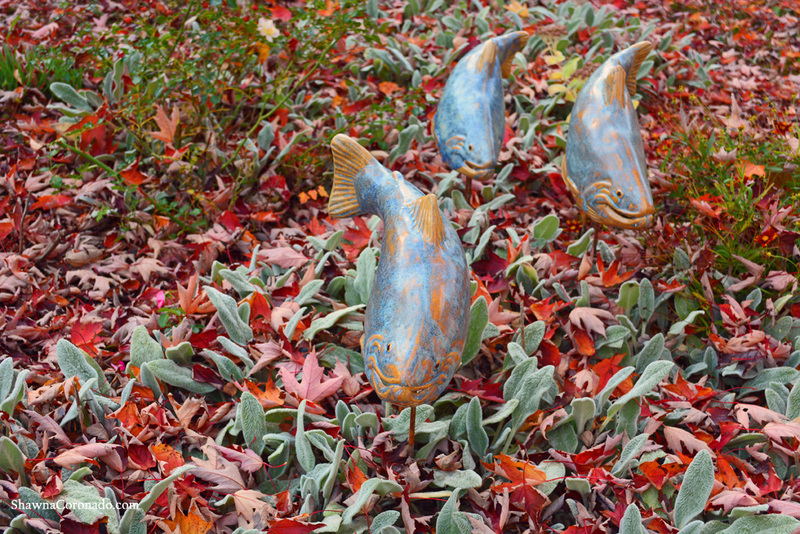 One of the delightful things about Tyson’s Fish In The Garden art is that you can move the sculptures around the garden seasonally. They rest on stands that are easy to pull out and move but function to hold the fish in place in your garden beds. When my fall Chrysanthemum rubellum ‘Clara Curtis’ started blooming, I decided to move the Salsa Koi over between the pale blooms and a grouping of newly planted Russian Sage plants. Love the bold color contrast of purple against the koi’s red tails which adds a new level of interest in the fall garden. Want an lovely holiday gift idea to WOW your gardener? 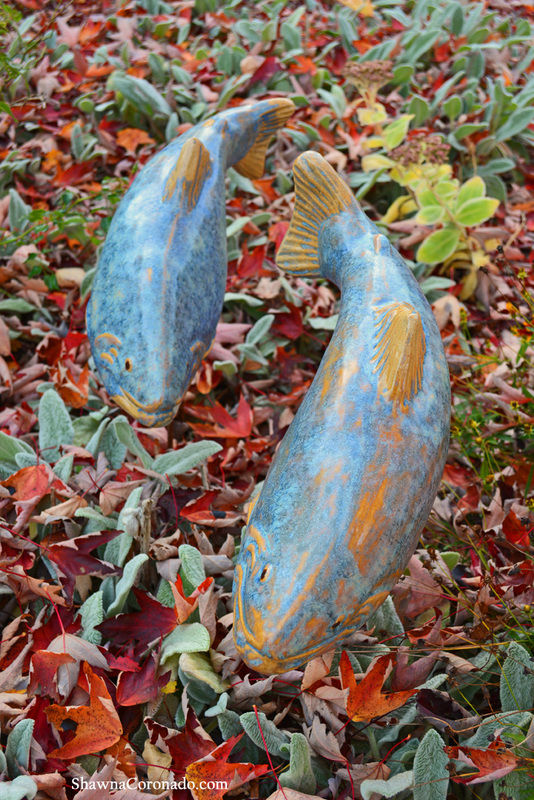 Try fish garden art for the win – best displayed in a set of two or three fish together. Tyson Weiss’s creations are unique, colorful, and hold up to the weather well. Best yet, they make a statement in the garden which is unique and beautiful. The Fish In The Garden, what a beautiful idea.